KENT, Wash., June 6, 2016 – Marti Reeder, Realtor® for John L. Scott’s Covington-Kent-Maple Valley office, has earned her managing broker’s license, allowing her to expand her real estate team to better serve the local community. Earning her license involved a significant amount of additional education as well as passing a difficult two-phase test. This achievement comes just months after Reeder was named the Top Producer in her office for 2015 and earning the Chairman’s Circle Award, one of John L. Scott’s top honors, for her top grossing real estate sales in 2015. So far, in 2016, Reeder’s stellar track record continues in this hot South King County real estate market. She is the top producer in her office for the first quarter of 2016. In addition, Reeder was named “Best of Kent Real Estate Agent” for the eighth time in the Kent Reporter’s 2016 “Best of Kent” contest, and “Best Real Estate Agent” by the Covington-Maple Valley-Black Diamond Reporter. As a lifelong resident of King County, Reeder focuses on clients in the South King County communities of Kent, Covington, Maple Valley, Auburn, Black Diamond and Renton. As a Certified Residential Specialist (CRS), Reeder also dedicates her time and expertise to educating home buyers and sellers on the value of home ownership and ensuring that they understand the ever-changing real estate and mortgage industries, including new rules and regulations that may affect them. With 11 years as a Realtor® and more than 30 years of industry experience, Reeder works out of the Covington-Kent-Maple Valley John L. Scott office. She is a full-time, full-service real estate broker, serving the South Puget Sound region. She has a wide range of experience in mortgages, home inspections, construction and real estate. In 2015, Reeder helped 58 families buy or sell homes. Reeder is also a Certified Residential Specialist, representing only 3% of the Realtor® population. As a CRS, Reeder is a dedicated professional working to ensure her clients receive exceptional service by tapping into her extensive training. 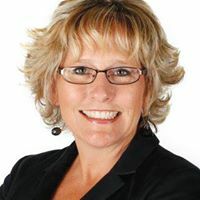 Reeder also specializes in staging and marketing her listings as well as helping buyers, whether they are first-time homebuyers or are downsizing or upsizing their current homes. When not listing or selling homes, Reeder can be found blogging about real estate or playing with her grandbaby and is active in the Kent community. She is a member of the Kent and Covington Chambers of Commerce, Kent Downtown Partnership and Kent Kiwanis. Learn more about Reeder at MartiReeder.com. Disclosure: Marti Reeder is a paid advertiser on iLoveKent.net.